Click to see high-res version. This is the famous open cluster M45 (The Pleiades) in the constellation of Taurus. 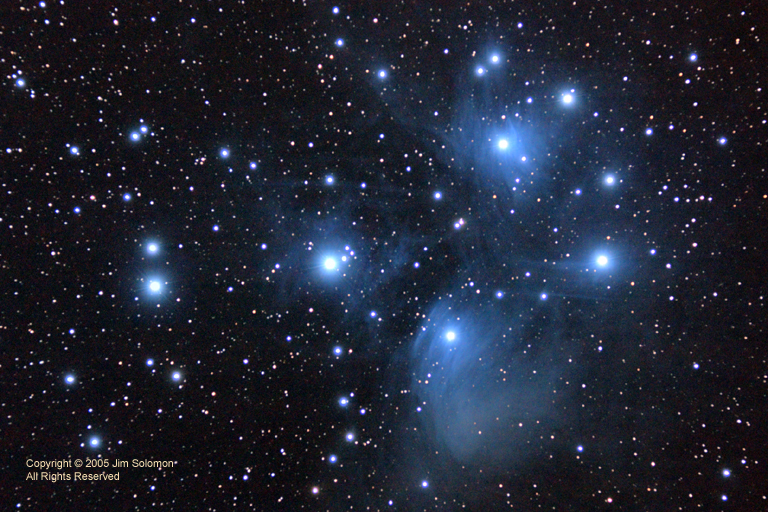 M45 is very visible to the naked eye and looks spectacular in binoculars. The blue reflection nebula is NGC 1432, aka, the Maia Nebula. This is my first image with the Orion ED80 and I'm pretty pleased with it. 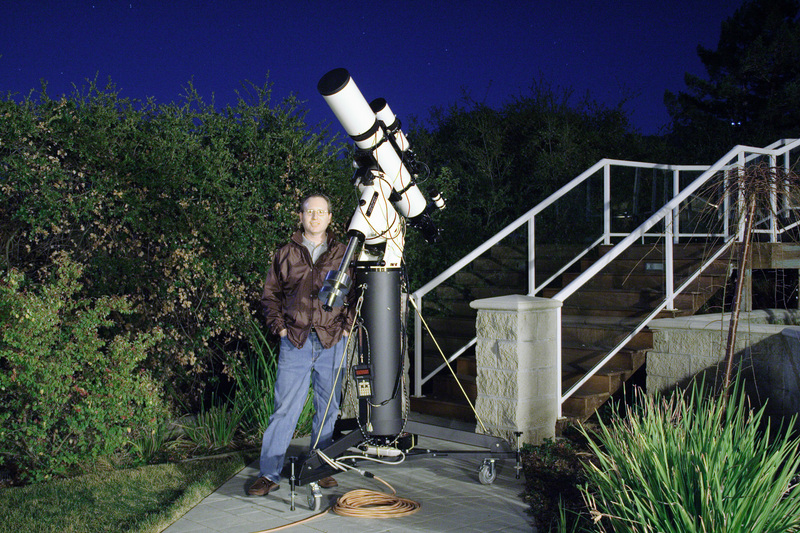 Unlike the ST80, the ED80 is an apochromatic refractor and doesn't suffer from "ugly purple halo around bright stars" syndrome. Transparency was only average when this was shot but the seeing was quite good. North is up.